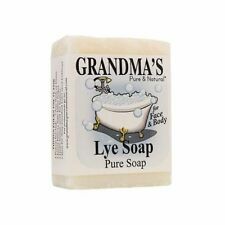 GRANDMA'S PURE & NATURAL LYE SOAP. Bar Detergent & Fragrance Free. BETTER THAN BLEACH ON DIRTY WHITE SOCKS & CLOTHES. BEST FOR DIRTY-MOUTHED KIDS! (just kidding). Check Out Our Other. BTMS 25% Behentrimonium Methosulfate Emulsifying Conditioner FREE SHIPPING!!!! DIPROPYLENE GLYCOL. o Incense sticks or cones (1 part DPG to 1 part fragrance). o Potpourri (2 parts DPG to 1 part fragrance oil). ü Slows scent evaporation rate. ü Fragrance grade. ü Oil, water, and soap base soluble. This is the way to go to achieve higher fragrance oil capacity. This is how we roll. Just our little hands joined together to create unique products that we hope you enjoy and make you smile. SHORT AND SWEET - 2011 started making candles in my kitchen - Why??. Our large aluminum pouring pitcher holds up to 4 lbs. The plastic handle stays cool even in a double boiler. The spout makes pouring even small candles a breeze. Our current location in Tennessee, is only about 15 minutes from our original building, and the Virginia/Tennessee state line is only about 10 miles away. Their product is NOT “Watersorb” and is not suitable for any application other than agriculture. It is not suitable for Neck Cooler/Cool Ties or for use in crafts, and can cause severe skin irritation if touched or applied to the skin. Simply glue the strip at the back of your soap or tape it and put a label (not included). - patience, good will, glue or tape - possibly a label for your soap. 50 pieces of decorative strip to wrap your soap. These are all single-source, straight from Ecuador, made from the cacao beans of older, "original" cacao plants, organic and raw. It is one of life's "bucket list" experiences to ingest this plant and tune in to how it is interacting with your body and mind. Natural: Palm Kernel Flakes are obtained from the single kernel or seed of the fruit of the Palm oil tree. This tree bears an fruit which has an oily pulp and from this oily pulp Palm Oil is extracted. Feature: Brand new and high quality The mica powder is a kind of non metallic minerals. It takes the natural or synthetic mica flakes as nuclei, while its surface is coated with a layer or alternately coated multi-layer titanium dioxide and other metal oxides. Extremely beautiful pearl luster and metallic sheen come out. Semi natural powder, has good elasticity, toughness, high temperature resistance, insulation, acid and alkali resistance, corrosion resistance, strong adhesion. Is an excellent additive. Easy to use. 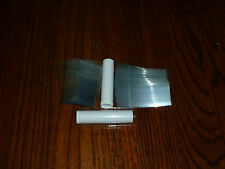 Can be used to make cosmetics, skincare products, soap, eyeshadow etc. Colors : 12 Colors Size Approx: Net Weight 2g/pc Packaged : 12Colors/set Conersion: 1 inch=25.4mm or 1mm=0.0393inch. Xylitol is just as sweet as table sugar (sucrose), it has about 75% fewer carbohydrates AND 40% fewer calories. Xylitol typically does not raise blood sugar like regular sugar. 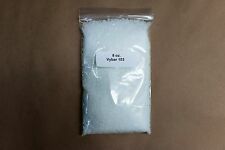 Did you know it has been reported xylitol used as a low-glycemic sweetener, may be very safe for diabetics and hypoglycemics?. Nonylphenol Ethoxylate Tergitol NP-9 Non Ionic Surfactant. Synonyms:Tergitol NP-9.5, T- Det N 9.5, NP 9, Van Wet 9N9 or 9.5 Mol, Surfonic, Surfonic N 100Ultranex NP 95,Alkasurf NP-10 Surfactant. Nonyl Phenol, Non ionic Surfactant or non-ionic Surfactant. Feature： Brand new and high quality Fashion, Useful and Pretty Make your life more convenient with our items Don't miss out on this The mica powder is a kind of non metallic minerals. It takes the natural or synthetic mica flakes as nuclei, while its surface is coated with a layer or alternately coated multi-layer titanium dioxide and other metal oxides. Extremely beautiful pearl luster and metallic sheen come out. Semi natural powder, has good elasticity, toughness, high temperature resistance, insulation, acid and alkali resistance, corrosion resistance, strong adhesion. Is an excellent additive. Easy to use. 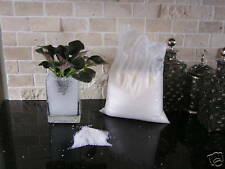 Can be used to make cosmetics, skincare products, soap, eyeshadow etc. Colors : 12 Colors Size Approx: Net Weight 2g/pc Packaged : 12Colors/set. 15 slot Eyeball Silicone Tray also used for jellies, cream cheese, sugar, fondant, isomalt, ice cream, soap & more! 1 x Eyeball Tray. Bend the silicone and pop out your chocolates easily without breaking or cracking your confections. GRANDMA'S LYE SOAP BAR. Better than bleach on dirty white socks & clothes. May ease skin discomfort. Best for dirty-mouthed kids! Hides human scent for hunters. Relief from poison ivy & poison oak. 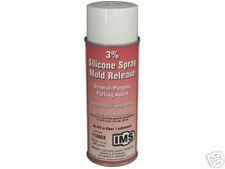 Relieves flea & dander problems on pets. 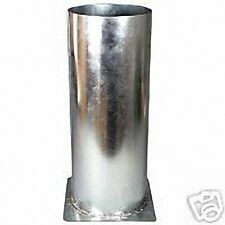 18.5×12.5cm; Material: Blade-Stainless steel, Handle-Hardwood. Included: 1 xWavy Soap Cutter. If item is defective after 3 months, you can still send it back to us. We will send you a new one after receiving the defective item. This is a lot of 6 small slide top tins. Perfect for making dried flower aroma candle wax tablet and handmade soap. - Great for making cake, candy, biscuits, chocolate, fondant cake, sugar craft, clay, resin casting and etc. - FDA food grade silicone; microwave, freezer and dishwasher safe and heat resistant. Jojoba beads show up best in a contrasting base. A little goes a very long way. They are used for mild exfoliation & decor in bath & body products like liquid soap, lotion, cp soap, bath cupcakes, scrubs, foaming bath whip products, etc. Handmade with love. This is all hand cut. These are not stickers - therefore you can glue them or hang them if you pouch a little hole in them. Total of 60 pieces. What you will need. 1oz- 2oz botanicals/ 16oz olive oil or any liquid(soft) oil. 2 oz fresh French green clay. 1 tablespoon French green clay. 2 teaspoons French green clay. 2 tablespoons French green clay. Our herbs and botanicals of the highest quality. Our thicker molds more easily match up flush on the rim when forming bath bombs, can take rigorous tapping and won't dent. These molds put up with more abuse & use because we had them made to a higher standard than others. INVENTORY REDUCTION! If the stamp looks unusual that is just the glue or how it was made. 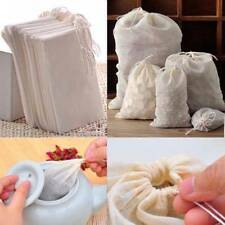 We also have muslin bags, coffee bags and other candle making supplies available. Handmade with love. This is all hand cut. These are not stickers - therefore you can glue them or hang them if you pouch a little hole in them. Total of 50 pieces. Add a creative label or decorate the tins to your specs. Tin Size: 2 in. (.25 Oz Each). Empty Tins Have Multiple DIY Uses. Containers are Easy to Carry and Use. Handmade with love. This is all hand cut. These are not stickers - therefore you can glue them or hang them if you pouch a little hole in them. Total of 100 pieces. The stamp is with sparkle - so depending on the light - it will show beautiful sparkling colors. Professional Formula! Good for water based and oil based formulas. Paraben Free. Lotions, Serums, Creams, Hair Gel / Cream, all formulations: 0.1-0.5%. Water Based Formulas or Oil Base Formula: 0. 1-0.5%.